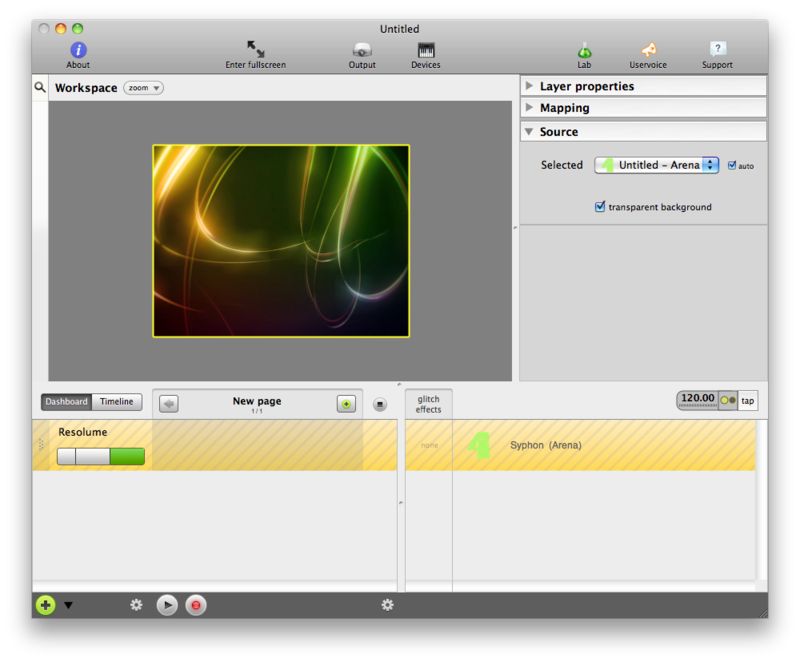 Launch Resolume and start a media, so the output isn't a stupid black frame ! 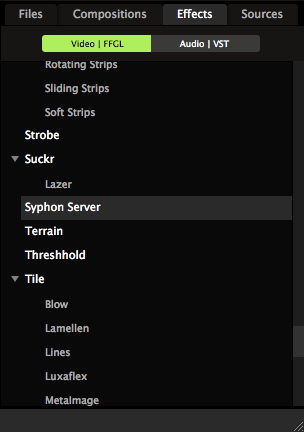 Go to Resolume'effects and look for the "Syphon Server" effect. 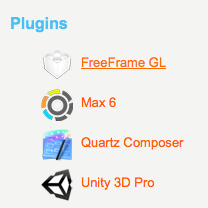 If you don't find it, download the 'FreeFrame GL' plugin from Syphon website. 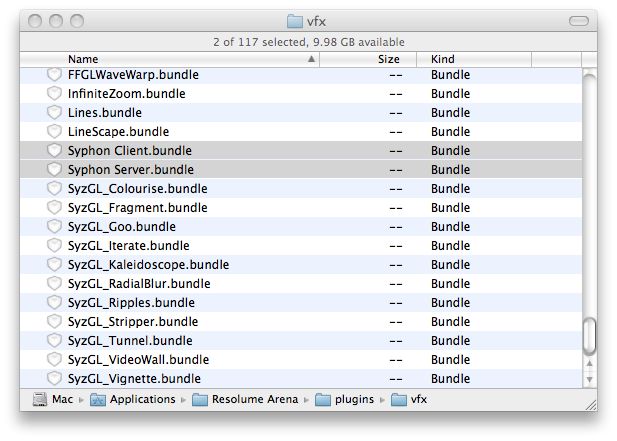 Then install the files in the folder '/Applications/Resolume/plugins/vfx'. 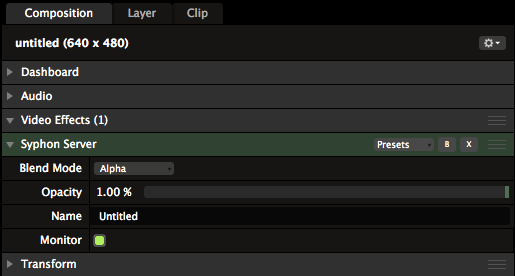 Don't forget to restart Resolume ! 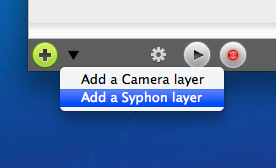 Now, drag-and-drop the "Syphon Server" effect into your composition. If you end up with a white frame : don't worry ! There is a bug in Syphon Beta 2 and some graphic cards are not supported. Please download and install the Beta 1 instead. so you could play with it as well !